God used tired men just doing their job to help out new caregivers! What? An ambulance for cancer? Is that a thing? I was already in such shock over Andrew not simply being anemic, but being dangerously ill, and now we find out we can’t drive home to pack a suitcase and if we do, they’ll take our son themselves? We quickly decided that Randy would head to the bigger city’s hospital with Andrew and I would take the girls home, pack for all of us and drive up to Portland as soon as I could. We pulled out of the hospital parking lot together, my husband’s car with my little guy’s head blurring behind the sheen of tears in my eyes. We separated at the intersection and I drove home with a thousand thoughts whirling in my head. My two girls and I alternated between stunned silence and rapid-fire speech as we each tried to come to grips with what the last few hours had held. When we reached our driveway, we had the second miracle of our cancer journey (for me). You can read about that HERE. I actually felt guilty that I was at home receiving support while my husband was driving through the evening to reach the hospital with my son in the backseat, but alone with his thoughts and fears. I shouldn’t have worried; my husband had his own thing going on! He was feeling a little worried and lonely (my words, not his) and he called his brother Joe to say he had to get gas and ask Joe to meet him at a gas station just off the I-5 in Springfield. Joe said he’d be there. But when Randy pulled up to the gas pump, with his little sleeping leukemic boy in the backseat, he was shocked to see not only his brother, but the leader of our denomination for the state of Oregon (Randy’s board chairman and boss) and with him stood the Head Pastor for our region, and another Pastor. They were driving back from a church meeting in southern Oregon and just happened to need gas at that moment. The group of five grown men gathered around little Andrew’s carseat and had a prayer of blessing, healing and strength for Andrew and for us. 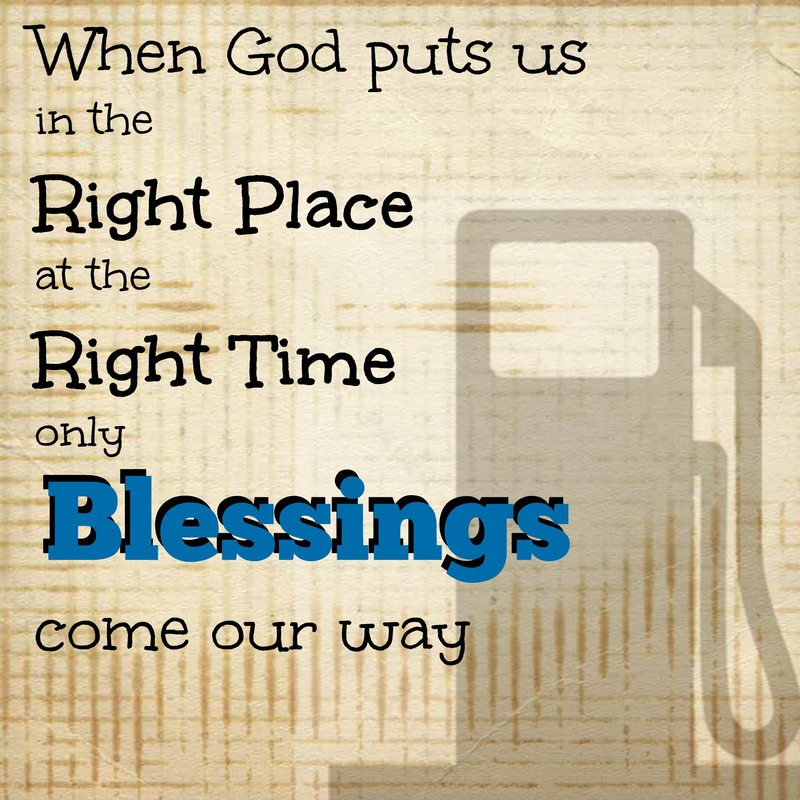 Then each man, an uncle, a boss, a pastor, a friend and a dad, all drove off in their own directions, knowing that God had put them where they needed to be, for just the right moment of unexpected blessing. Read the rest of the series 31 days of Unexpected Blessings from Caregiving!